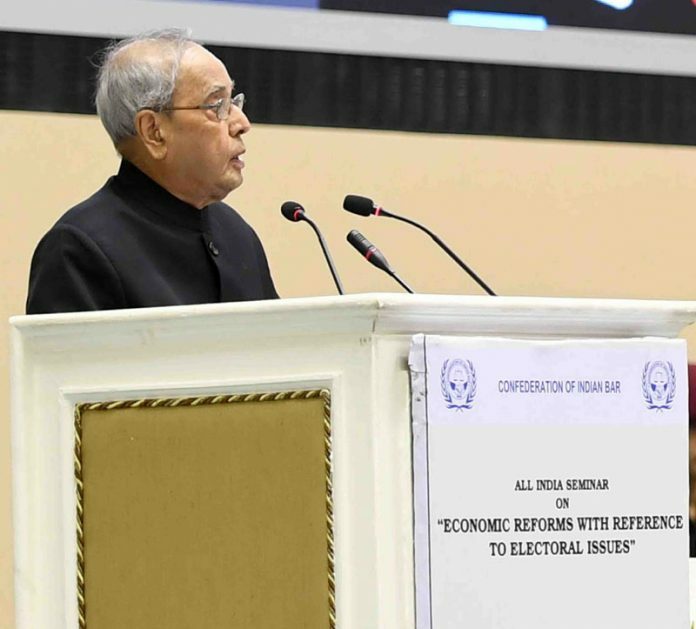 The President, Shri Pranab Mukherjee addressing at the inauguration of the All India Seminar on Economic Reforms with Reference to Electoral Issues, organised by the Confederation of the Indian Bar, in New Delhi on April 08, 2017. New Delhi: The President of India, Shri Pranab Mukherjee inaugurated an All India Seminar on “Economic Reforms With Reference to Electoral Issues” organised by the Confederation of the Indian Bar today (April 8, 2017) in New Delhi. Speaking on the occasion, the President said that a strong electoral system is necessary to strengthen the democratic structure of India. Timely reforms are necessary which not only would give justice to the people but also to the ideals enshrined in the Constitution of India. Hence it is necessary to undertake a dispassionate analysis of the way in which our electoral process is functioning with a view to address the shortcomings in the system. The President said that generally in the past, coalition governments at the Centre contributed to unstable governments necessitating frequent elections. Fragile coalitions did not last. He also referred to the issue of responsibility to the electorate and said that Parliament is not merely a deliberative body but a decision making body. The President said that the Constitution (Forty Second Amendment) Act 1976 imposed a freeze on the population figure for readjustment at the 1971 census and has been extended by the Constitution (Eighty-fourth Amendment) Act 2001 till 2026. As a result the House of the People today represents the population figure of 1971 census whereas our population has increased manifold in the recent decades. 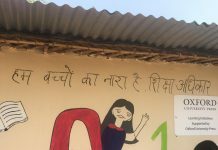 This gives rise to an anomalous situation wherein today, India has over 800 million voters and 543 Lok Sabha Constituencies represent 1.28 billion people. To give true expression to the will of the people, it is time that we look at the legal provisions on the delimitation of the Parliamentary constituencies with a view to increase their number. If Great Britain can have more than 600 Parliamentary constituencies, why can’t India, with a much higher population, have more number of seats, the President asked. The President congratulated the Confederation of the Indian Bar for organizing this Seminar and expressed hope that the Seminar will deliberate at length electoral reforms and substantive and concrete suggestions will come out of the deliberations.